The DSM 5 — Diagnostic and Statistical Manual of Mental Disorders — now recognizes hoarding as a disorder. See this short video: Seeking help for hoarding. I say we have a diagnostic disorder. In our quest to identify human problems as disorders, we are blind to the core cause of many so-called disorders. How can we effectively deal with a set of problems as long as we avoid accepting core causes? This is like the binding of women’s feet in China and then diagnosing a walking disorder in females. We’re very good at identifying disorders and problems in general. We’re very weak at facing the underlying causes. In doing so, I imagine we feel we’ll lose out — we want to have our cake and eat it too. Therefore, we just stick our head in the sand and press on. Actually, I find facing the core cause of a problem doesn’t mean I actually lose the benefits of the ‘ignorance is bliss’ side of the coin. There remains the ignorance about knowing what to do, and the Taoist doing without doing (wéi wú wéi) covers that. Knowing something needs doing doesn’t mean I am willing or even able to do the ‘right thing’ subsequently. I suspect our innate belief in free will may actually hinder our ability to see things as they are. For example, if we admitted civilization or language had serious downsides, we’d instinctively feel duty-bound to change these. However, sensing the impossibility of corrective changes, at least over the short term, we naturally rationalize alternative reasons that promise ideal solutions. Owning up to realities that we are powerless to change threatens our entire free will paradigm; it feels so much safer to stick our heads in the sand and dream of ways to escape. I feel that is a shame. Certainly, we’re not going back to live a hunter-gatherer existence; we’re even less likely to return to our pre-language primordial state. We are stuck with imagination, thought, and language. We are stuck with civilization. We could never give up the added comfort and security these afford us. Nevertheless, I find that actually facing facts helps me manage problems better, even if the causes are irreversible. This is especially true when it comes to the irreversible negative consequences of civilization and language. All this could be more comical if it wasn’t so piteous. Granted, we are still in the early phases of self-discovery as a literate species. It was only a few thousand years ago that Buddha succinctly articulated the practical causes of human suffering, and early ‘taoist’ articulated the ultimate subtler sides the human cognitive problem: names, words, and thinking which altogether add up to language. Our list of disorders grows and grows. As you read the list of disorders below, try to imagine the likelihood of these being disorders under hunter-gather circumstances. Certainly, any genetic susceptibilities would not have changed between hunter-gather times and now. Only the circumstances have changed, and thus can be held to account. In other words, any aboriginal with Hitler’s genes would not have the same affect on the tribe because circumstances would make the historical Hitler’s behaviors impossible. Indeed, a ‘hunter gatherer Hitler’ would not stand out at all. The healthy circumstances of his upbringing would have made him normal. It is opportunity of the circumstance that strongly affects how genetic traits play out. We like other animals are naturally attracted to rich food. In the wild, high calorie content favors survival; in a cornucopia of modern civilization, eating disorders and obesity prevail. In the social isolation of modern civilization, mood, anxiety, social phobia, and panic disorders prevail. In material abundance, a hording disorder follows naturally. In techno-academic culture, dyslexia stands out. These problems are not going away because civilization is here to stay. However, accepting that either civilization or language is the primary cause of these disorders could only help understand and manage these situations better. Perhaps many would agree that circumstances of civilization play a key role, and yet we never hear this addressed. Or if we do, the complaints focus on the specific evils of civilization, such as, war, capitalism, drugs, etc. We think that if we could just rid civilization of those ‘bad’ aspects, everything would be hunky dory. Like I said, we want our cake and eat it too, which makes it terribly difficult to face life honestly. The following is from The Kim Foundation. They seem to do a good job of outlining our main disorders. Mental disorders are common in the United States and internationally. An estimated 26.2 percent of Americans ages 18 and older or about one in four adults suffer from a diagnosable mental disorder in a given year. 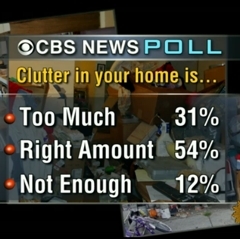 Hoarding disorder 5%, + 33% feel they have too much stuff. Professor of Psychology Randy Frost studied hoarding for 20 years. Below, I list a few of his findings. Again, consider these finding vis-à-vis a hunter-gather existence. One thing that stands out at once is how this inherited ‘hording trait’ would be an asset to anyone living in the wild. Wilderness living would keep ‘hoarding’ in balance just as it does for our attraction to rich food. Most, if not all, of our so-called disorders would facilitate survival in the wild. 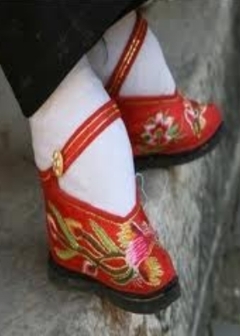 Are we not like Cinderella’s Sisters trying to stuff our fat civilized feet into nature’s slipper? 4) The region of the brain that determines the importance of objects (the Anterior Cingulate Cortex) shows abnormal activity when hoarders are faced with making decisions about dealing with their belongings. “The cut-off for where this becomes a disorder really has to do with the place at which this behavior influences their functioning, to the point that it-its harmful or impairing their ability to live,” said Frost.